HOV-lane violations are one of the most frequent complaints the State Patrol receives. 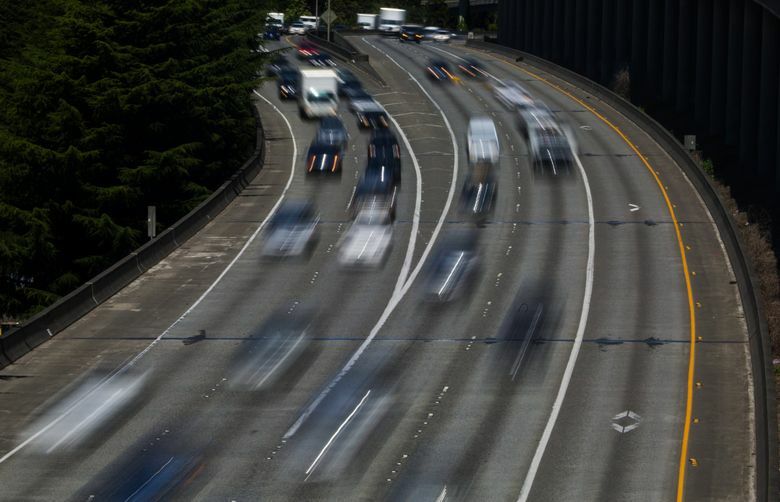 Attention HOV-lane cheaters: The State Patrol will be looking for you this week. Monday through Friday, the Washington State Patrol, in partnership with the Washington Department of Transportation (WSDOT), will deploy 14 motorcycle troopers to enforce the minimum number of people required in vehicles using a carpool lane. The emphasis patrol will cover north Pierce County, all of King County and south Snohomish County. WSDOT will also display messages about the crackdown on the state’s highway messaging signs. High-occupancy lanes are meant to provide faster travel option by encouraging carpooling, vanpooling or public transit. Most HOV lanes require at least two or three people in a vehicle. In 2016 and 2017, troopers contacted about 11,000 drivers each year for HOV-lane violations. About 400 of those each year were repeat offenders. Based on the violations to date, 2018 is on track to see similar numbers. An HOV-lane violation carries a $136 fine. Troopers don’t have a high-tech system to catch violators. They either park in the shoulder or median or drive alongside HOV lanes and look into car windows.